Coca-Cola is teaming up with Godiva to launch a beverage line being tagged as “Godiva Belgian Blends”. A new line of chocolate-infused coffee drinks, they will hit the U.S. market on July 31, the companies said April 17. 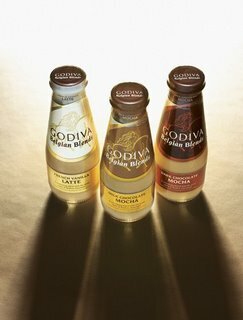 The drinks, which a press release describes as, “more decadent than just plain coffee,” will be branded under the Godiva name. Flavors will include: Dark Chocolate Mocha, Milk Chocolate Mocha and French Vanilla Latte. It will be sold in 9.5 fl. oz. glass bottles, in singles and four packs, and at convenience stores, supermarkets and other retailers.